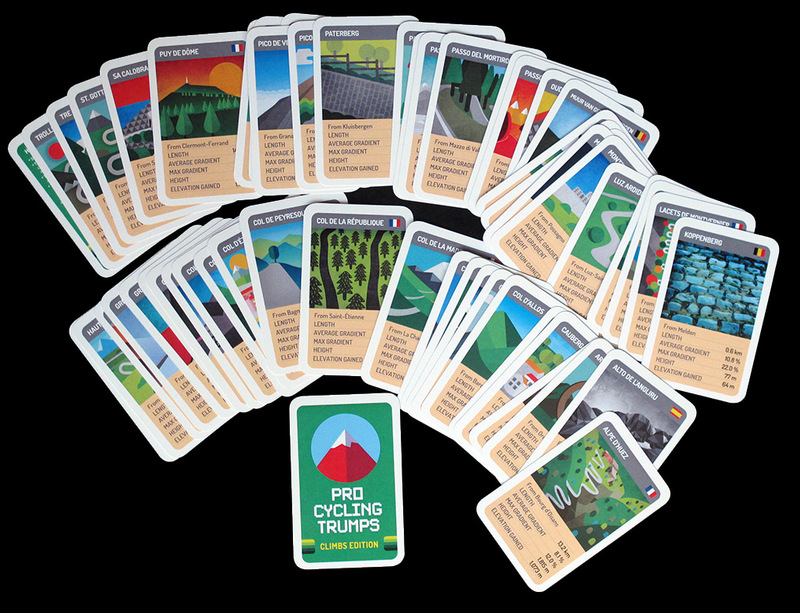 This is the first "pure" card game (opposed to a game that represents a cycling race by the means of cards) presented in this site with its own page. 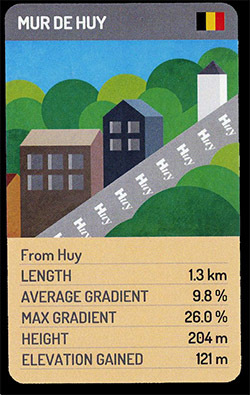 You may think that it is just one more of the Pro Cycling Trups series (see the rest here). It is, of course. 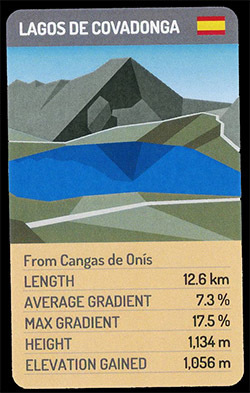 But it is also one of the most extraordinary cycling race-related games, since it does not show riders, or bicycles, or even cycling races (Jim, take this as a suggestion!) but climbs. 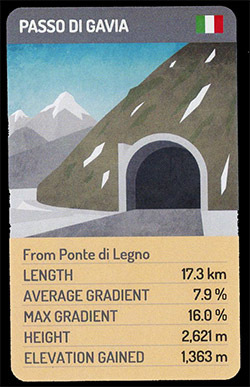 Iconic climbs which just with its name (Tourmalet!, Mortirolo!, Mont Ventoux!) convey all the legend of the races that have taken place on them. Jim McLeman's evocative drawings only add to the charm of this game. 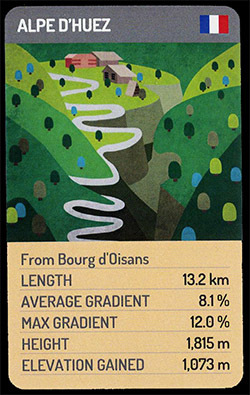 A must for cycling fans. 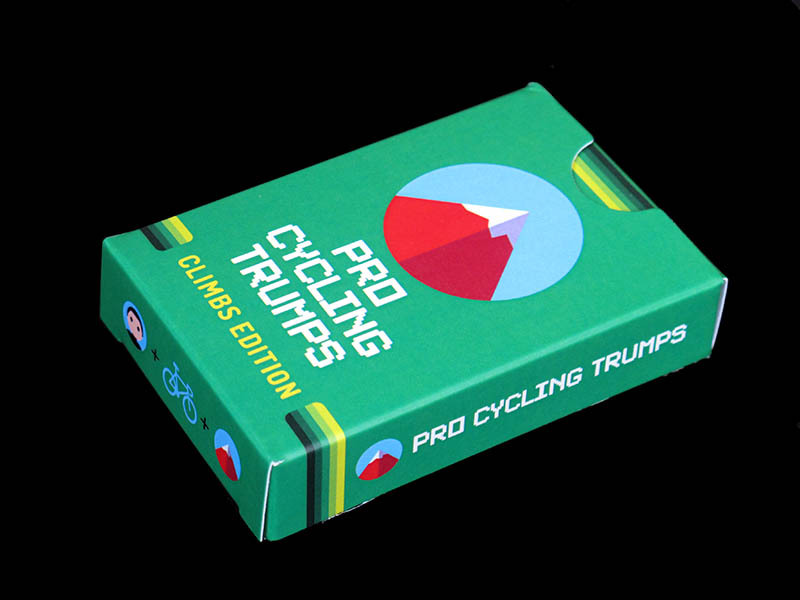 Check the Cycling Pro Trumps official website.